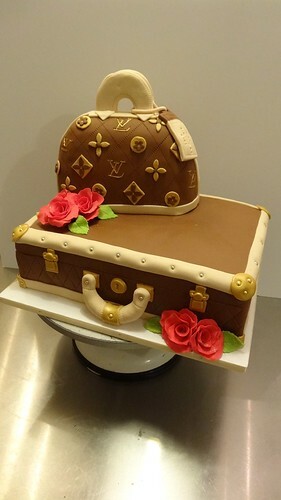 LV trunk and Bag Cake, a photo by CAKE Amsterdam - Cakes by ZOBOT on Flickr. A recreation and upgrade of a previous design. FLAVORS : Bag was Red Velvet and Trunk was Carrot Cake with cream cheese frosting and toasted pecans.